Help Ben 10's aliens escape the slime in this endless climbing game on mobile. Ben 10: Super Slime Ben is a free-to-play mobile game that challenges players to help all 10 of Ben’s alien friends climb as high as they can in each game to escape the slime rising from the bottom of the screen. In each game, players must tap on the left and right sides of the screen to destroy the blocks in their path in order to create a stairway for them to climb higher. Users can also swipe left and right to slide down to a lower level. Whether climbing or sliding, players need to move fast in order to avoid the slime that will constantly rise from the bottom of the screen as they play. Environments are also filled with moving enemies and obstacles that players need to avoid. Players can collect coins as they play -- they’re scattered throughout environments, and also contained within boxes players can destroy. Users can also receive free coins in between games by spinning a prize wheel. Coins can be spent on costumes for the aliens, as well as new playable alien characters (players start with only one). 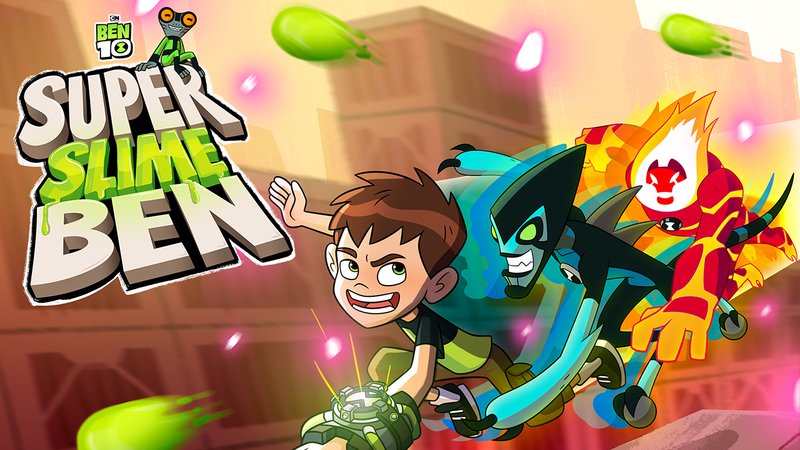 Ben 10: Super Slime Ben is available to download for free on iOS and Android devices. The game is rated E for Everyone on Android and 4+ on iOS. The game contains advertisements, but it can be played offline, which prevents them from appearing. Check out the first nine minutes of Ben 10: Super Slime Ben in our SuperParent First Look below to see if your littles would enjoy this game.